The iPad Mini form factor is probably one of the most popular form factors among the Chinese tablet manufacturers. Almost every single manufacturer has their own version of it including Pipo. The Pipo U8 is Pipo’s take on the iPad Mini form factor. 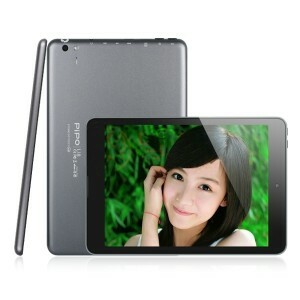 I consider Pipo as one of the “branded” China Android tablet PC manufacturers. I have generally been impressed with their line of tablet PCs especially the Pipo M9 Pro and the Pipo M6. 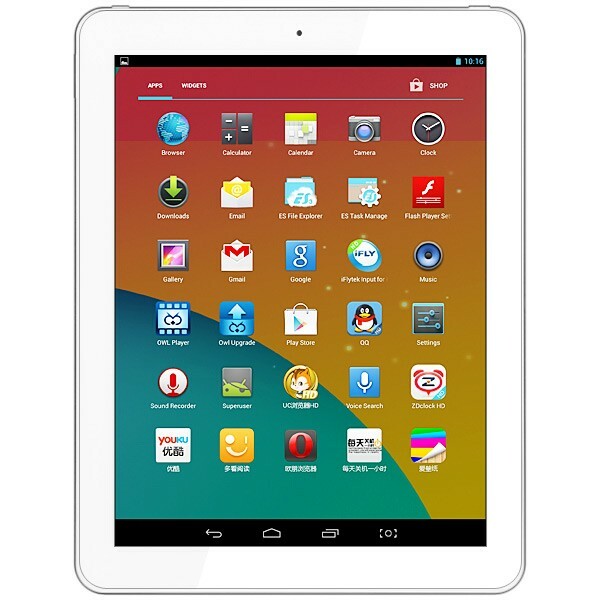 Pipo Android tablet PCs do cost more than the other brands but they always do come with a few extras that the competition are lacking. This review of the Pipo U8 will have comparisons with the other iPad Mini clones that I have reviewed so far, specifically the highly impressive Chuwi V88 that scored a full 5 stars from this site. Does the Pipo U8 have what it takes to knock the Chuwi V88 off the throne as the best iPad Mini clone? AliExpress has numerous retailers that are offering the Pipo U8 at a great price and some even have free international shipping thrown in. Pipo tablets have usually impressed me with their built quality and design. The Pipo U8 does not disappoint with a well built device that has a tapered brushed aluminum back. While Pipo can claim the credit for built quality, design credit goes to the Apple designers at Cupertino, California. Pipo unbashfully copies the Apple iPad Mini design. It has the same tapered back and on the front and the front facing camera is centered on the top bezel. It is available with the bezel in both black and white. The Pipo U8 even 1-ups the iPad and the Chuwi V88 by including an LED flash for the rear facing camera. The display is a 7.85 inch IPS display with 1024 x 768 resolution. This is fractionally smaller than the 7.9 inch on the iPad Mini and the Chuwi V88 but it is not a noticeable difference even when placed side-by-side. The IPS display provides good brightness, contrast and viewing angle. However, it does seem that the display on the Pipo U8 has slightly poorer color saturation compared to the Chuwi V88. The 1024 x 768 resolution is the exact resolution of the iPad Mini. It is not retina class and you can definitely see the individual pixels on the screen. I do think that retina displays are a little over rated and on such a small display, it is more of a marketing gimmick. The display also has a 4:3 aspect ratio instead of the more common 16:9 or 16:10 ratios on Android tablets. Like all iPad clones, if you take a closer look at the Pipo U8’s edges, it has way more ports and buttons compared to an actual iPad. For the Pipo U8, all the ports are located at the top (if you consider the edge with the front facing camera as the top, like on an iPad) which is rather strange. It has a Back button, a Power button, a micro SD slot, an HDMI port, a microphone, a micro USB port and a 3.5mm audio jack. There is no volume rocker button which I miss. I also wish that Pipo had swapped the location of the Back and Power button as the Power button is commonly placed closest to the corner. Needless to say, I pressed the Power button instead of the Back button a few times. However, if you just use the soft Back button in the menu bar, this is not an issue. It also has a single speaker at the bottom of the front bezel. 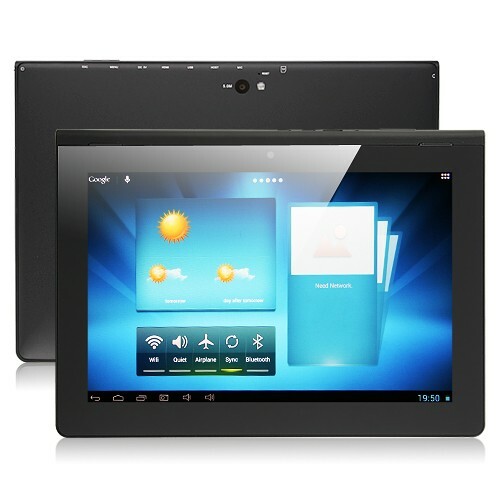 How does the Pipo U8 compare with other tablets? 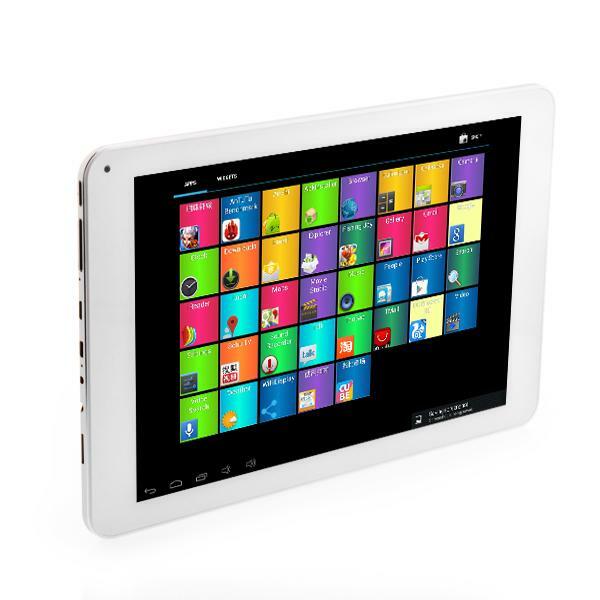 The Pipo U8 Android tablet PC is powered by a quad-core Rockchip RK3188 ARM Cortex-A9 CPU with Mali400 MP GPU. 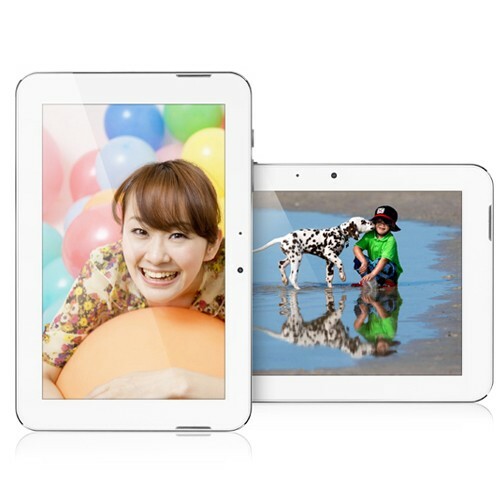 The RK3188 provides quite good performance and is a very popular quad-core chipset among the Chinese tablet manufacturers. It also comes with 2 GB RAM and either 8 GB or 16 GB of storage ROM. The review unit comes with 16 GB ROM. If you need more storage memory, just pop in a micro SD card. The tablet supports up to an additional 32 GB. The Pipo U8 is also one of the rare few models that comes with Bluetooth 4.0 or BLE. This is the power efficient version of Bluetooth and is a good feature to have if you plan to pair Bluetooth devices to the tablet such as Bluetooth speakers, headphones or even keyboards. The biggest surprise is that the Pipo U8 has dual band 2.4 GHz/5 GHz WiFi support. Dual band WiFi provides a much more stable connection as it has the additional 5 GHZ frequency in addition to the highly congested 2.4 GHz. However, you need to use a dual-band WiFi router as well to take advantage of it. Dual-band router prices have dropped significantly so it is worthwhile upgrading to one. Like a few of the other higher-end Pipo tablets, the U8 also comes with a ambient light sensor that is located next to the front camera. 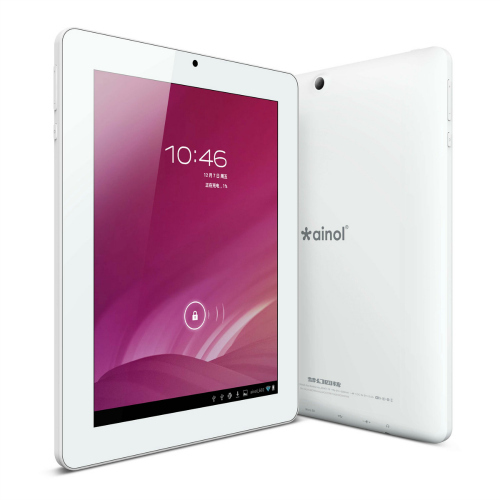 The light sensor allows the tablet to adjust the screen brightness accordingly to save on battery power. The front facing camera is a 2 MP camera while the rear camera is 5 MP with an LED flash. The battery capacity is 4800 mAh and is rated by Pipo to last 7 hours on a single charge. As mentioned earlier, the Rockchip quad-core chipset provides good performance and it doesn’t disappoint on the Pipo U8. The RK3188 works great when it does not have to push a high number of pixels like on a retina class display. While retina displays look great, if you want really good overall performance on a China tablet, stick with a slightly lower resolution display. The Pipo U8 comes with its own custom launcher that seems to be inspired by Microsoft’s Metro interface. However, if you don’t like it, you can always switch it off. If you plan to share the tablet with small children or if the tablet is to be primarily used by children, Pipo has included a special colorful kid friendly interface. The interface allows for only selected apps to be accessible, comes with a password lock and a family timer to limit the amount of time that the tablet can be used. The Pipo U8 makes a great device for web browsing. Opening multiple tabs with Flash content does not faze the tablet at all. Scrolling is smooth and I did not experience any lag. The almost 8 inch display is quite ideal for web browsing. It gives a little more screen estate compared to a 7 inch display but is still small enough to hold using a single hand and I have small hands. Watching movies is great as well. Android devices are usually great at video playback and the the Pipo U8 is no exception. I threw all kinds of files at the default Rockchip video player and they all played without problems. Video streaming using YouTube and Netflix worked great as well. The only slight setback is that the 4:3 ratio display is not optimized for video playback but it is a minor grouse. I also wish that the speaker is a little louder. The low volume is rather surprising since it is forward facing. It is a bit too soft for listening to movie dialogue unless the environment is really quiet. Gamers will generally be happy with the Pipo U8. Most games including 3D intensive games play relatively smoothly on the Pipo U8 including favorites like Dead Trigger and Temple Run 2. The dual-band WiFi is a great feature which gives the Pipo U8 an advantage over the Chuwi V88. Although I still see complaints of poor WiFi on user forums but the WiFi performance is great for me. Perhaps those who complained did not use a dual-band wireless router but all I can say is that the dual-band WiFi definitely worked for me in improving overall WiFi performance. If you are interested, you can refer to this fairly detailed WiFi benchmarking on the Pipo U8 report done by Chinese site, Padhz.com. Google Play Store is fully functional as most apps are supported including all the popular ones that I searched for. This saves you to hassle of having to root the firmware or replacing the firmware with one that has better support. The 2MP front facing camera and 5MP rear camera are functional but provides mediocre performance. Photos taken with the rear camera look washed out. The camera app does support touch to focus and panoramic shots. The LED flash is not of much use as it produces garish looking photos when used. The ambient light sensor is another feature that seems to be of poor quality and is added just for the sake of padding the feature list. On the Pipo U8, the screen brightness doesn’t seem to adjust at all and I am wondering if it really does have a sensor at all. The 4800 mAh battery lasted almost 8 hours while watching video with WiFi turned off and screen brightness set at full. With heavier use and the WiFi switched on, the battery lasted about 5-6 hours, similar to the Chuwi V88. One piece of good news is that the tablet does support charging via USB but you do need a source that can output about 2A. The Pipo U8 is not perfect but if you are looking for an alternative to the iPad Mini that does not burn a big hole in your pocket, you can do much worse. 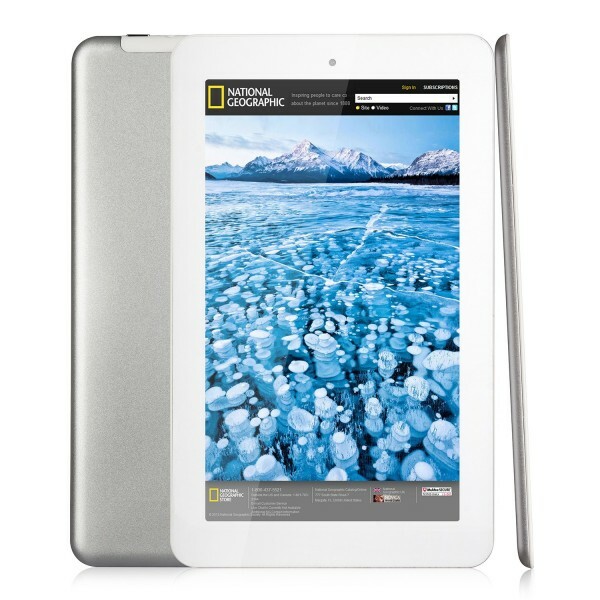 It performs great as a web browser, video viewer and gaming device – the 3 most common use for a tablet PC. The resolution is a little lower compared to many other China tablets that come with retina displays but the display quality is good. Furthermore, the RK3188 processor works best when not required to power a retina display. It is a compromise and millions of iPad Mini users have no grouse with their display either. Compared to the Chuwi V88, I would consider the Pipo U8 as the better buy. For roughly the same price, you are getting a few added extras including the great dual-band WiFi and Bluetooth 4.0. Thanks for the great review Roy. Can a user upgrade the OS to version 4.3 easily? I have a first gen N7 and the thing I like about it is it’s ability to get updated when the next OS iteration is available. Thanks. If you are comfortable with doing manual firmware updates then it is an easy task. If you stick with a fairly popular brand/tablet like Pipo or Cube, an official or a custom 4.3 ROM will be available. The only problem is that the manual firmware update is not as user friendly as the OTA update on the N7. Do a search on rockchip rk3188 firmware update for an indication of the complexity. Adobe no longer officially supports Android OS but you can still install Flash player. and w/c is better better overall nexus 7 2013 or u8 thank you.. im rally torn between the two. I can’t really make a direct comparison as I haven’t personally tested the Nexus 7. The Nexus 7 does have superior specs including a higher res retina display, GPS, option for 3G, etc but it also costs more. thank you. but I am torn between fish tab 3 and pipo u8.. because in our country fish tab 3 is cheaper and has a free speaker and flip cover. i would like to know the main difference between the two. Although we try our best to review as many tablets as possible, we do not have the resources to review every single tablet out there as there are just too many. If the retailer has a great return policy by all means try out the lesser known ones. Otherwise, it may be more prudent to stick with the more well known ones.